Master of Science (M.Sc) is a postgraduate level program offered in a majority of colleges and universities in India, providing advanced theoretical as well as practical knowledge in a range of specialized Science fields – Physics, Chemistry, Mathematics, Botany, Zoology, Biology, Nursing, etc. The duration of a Master of Science programme is usually two years in Indian universities/ colleges, the duration of the programme depends on the M.Sc. specialization selected by candidates and the policy of the respective college/ university. Some of the entrance exams related to Master of Science are AGRICET, AIEEA, CG PAT, GSAT, IGKV CET, IGKV PAT, IISER Entrance Exam, IIT JAM, JEST, MCAER CET, MP PAT, National Entrance Screening Test (NEST), OUAT Entrance Exam, Pant Nagar University Entrance Exam, Rajasthan JET, TIFR Graduate School Admissions (GS), UPCATET. Eligibility graduates from a recognized college with a minimum cut off percentage preferably in Science stream. There is usually no age limit to join the course. Admission Process An admission test is carried out for granting admission to the students. Only those students who pass in this entrance test will be given admission. Some colleges also hold interviews. Master of Science (M.Sc): What is it about? A Master of Science degree is a postgraduate degree, commonly referred to as MSc, MS, Mag. or M. Sci. A Master of Science degree is usually awarded after completion of coursework that is in a large degree research-based. A Master of Science degree provides a scientific, technical or professional entry-level competence. A candidate must have a Bachelor’s Degree in Science in order to pursue Master of Science Program. The cut-off percentage for the admissions to the various M. Sc. degree courses varies depending on the institute. Age Proof – Birth Certificate (Original and Photocopy Two Sets). Caste Certificate (Original and Photocopy Two Sets). Medical Certificate (Original and Photocopy Two Sets). Students who would like to join the Master of Science course will have to have a graduate degree. Aspirants must have a score of more than 55 percent in their final exams. Apart from this, an admission test will be carried out for granting admission to the students. Only those students who pass in this entrance test will be given admission. Some colleges also hold interviews. Aspirants can get the form from the counter of the concerned institution directly. Aspirants can get the form by post. To get it by this means, they will have to send a letter of request to the address of the institution alongside a DD of the amount that is needed. Aspirants can download the application from the official website of the institution they have chosen. Generally, Master of Science (M.Sc.) degree holders specializes in a particular field. They can move into various jobs according to their studied field. This course has a great scope & there are various opportunities available for the M. S. graduates. At present, M. Sc. 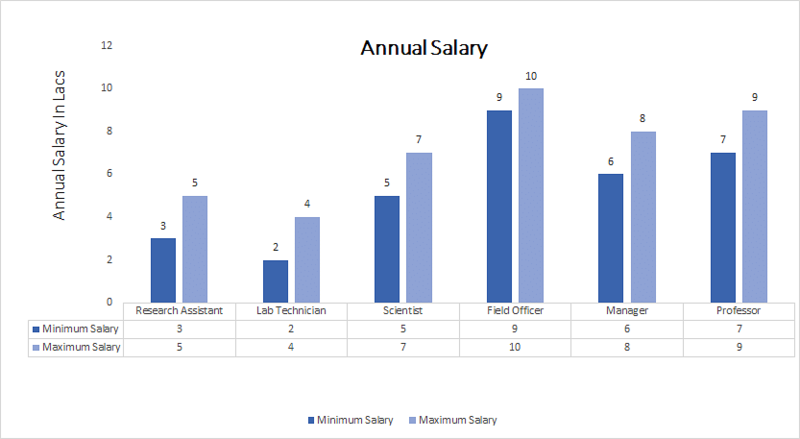 degree holders in Computers, Maths, Physics, and Chemistry are sky-scraping in demand. They can employ in various fields like education, defense, public sector, automotive and aerospace industries, healthcare, materials, technology, computing, energy and information technology. Some colleges and universities appoint M.Sc. degree holders as a professor or lecturer. They can also perform research work in various industries. After completion of your degree in M. S., you can also go for the further higher studies such as research programmes or Ph. D. courses.